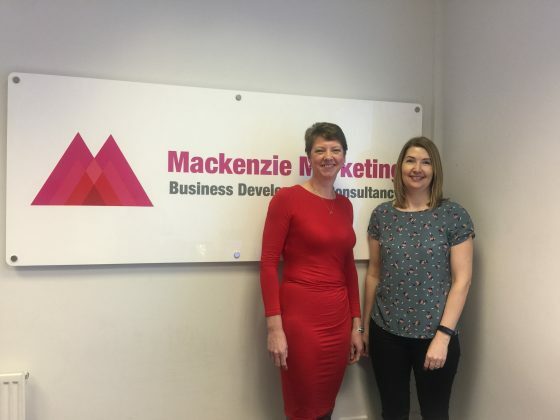 We are delighted to announce the expansion of our team at Mackenzie Marketing with the arrival of Wendy Singleton, Senior Marketing Assistant. Wendy is an English graduate and has worked previously in the financial services, utilities, professional services and education sectors. She brings a wealth of experience in all areas of marketing, including online, PR, events and direct marketing. We’ve been helping some of our clients spread the word about their businesses with stands at a number of exhibitions. One of these, Talent HR, is a recruitment and HR company based in Wilmslow and they decided they would like to take up some exhibiting and speaking opportunities at Northern Business Expo and Prolific North Live. 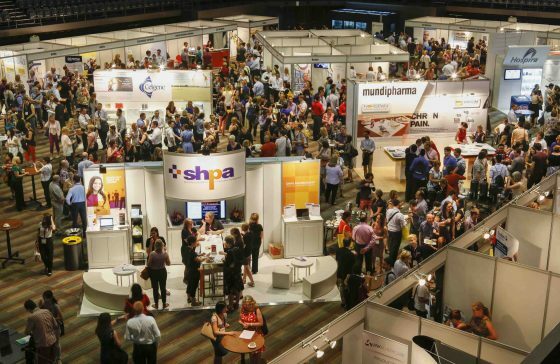 These types of events can be a great way for companies to meet a lot of potential customers and suppliers in a short space of time, as well as catching up with contacts and finding out more about what’s going on in the marketplace. •	Ensure your stand is clearly branded and eye-catching so that visitors can see who you are and what you do. •	Consider some sort of gift / giveaway / activity on your stand to attract visitors to come and see you, if budget allows (try to steer clear of anything too cheap, tacky and gimmicky). •	Make sure you have enough staff on the stand and that they are knowledgeable enough about the business to answer questions and talk to visitors. •	Set up a robust system to collect contact details from prospects you meet, record them in a database when you return to the office and follow them up. If you don’t follow up your contacts after the event, you’ve wasted all that money you spent on your lovely attractive stand! •	Build this into your usual marketing and communications process so that these contacts receive regular newsletters etc. Hot prospects should be called and cultivated. Wherever possible, track contacts so that you can measure conversion rates and work out how much business the event generated and whether it was cost-effective. In this way, over a period of time you can work out which events are worth investing in. •	Plan beforehand who you want to speak to, where they will be, and any talks you want to attend, so that you use your time productively while you’re at the event. If you think exhibiting could help your business, get in touch to discuss how we can help. We can source suitable events, book space and liaise with organisers, arrange design and production of your stand, produce brochures and leaflets, arrange PR, and support your follow-up process after the event. As well as being National Apprenticeship Week, 6th – 10th March is also British Pie Week. The British take their pies seriously so it’s no surprise there is a week dedicated to this delicacy. 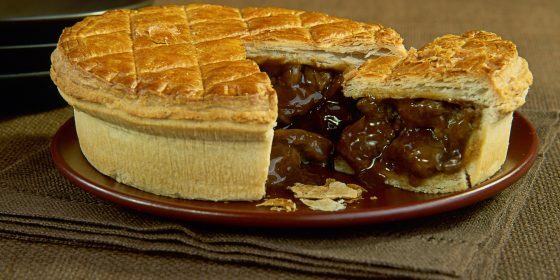 In fact, this is just how seriously some people take their pies: in 2015, the ‘Make wrongly describing a casserole with a pastry lid as a pie a criminal offence’ petition earned 5,687 signatures, arguing that a ‘pie’ with a puff pastry lid is not actually a pie, and is a casserole instead. So what have pies got to do with running your business?! Well, we could talk about making sure your time (the pieces of your pie) are divided appropriately between your staff, customers, managing the business, and not forgetting leaving some time for you. And this doesn’t necessarily mean all these pieces of pie are the same size – only you can decide who gets the biggest piece of pie! Or we could look at what others have to say, for instance: “When entrepreneurs are free to compete, they grow the pie so that everyone’s share gets larger.” John Stossel. Or we could just think about what type of pie to have for dinner tonight – make mine a steak and ale! National Apprenticeship Week is 6th – 10th March. 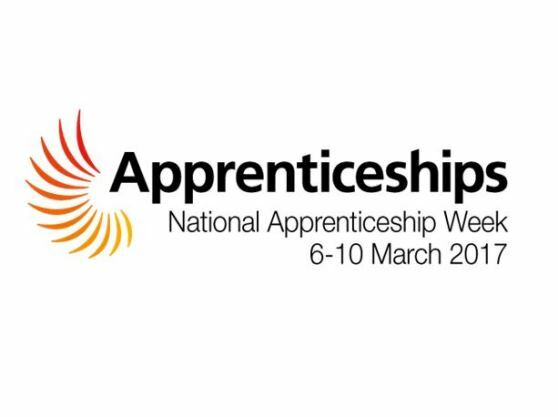 Co-ordinated by the National Apprenticeship Service, the week is designed to celebrate the positive impact apprenticeships and traineeships have on individuals, businesses and the economy. This will be the 10th National Apprenticeship Week and it will bring together employers and apprentices from across England to celebrate the success of apprenticeships over the last decade and will seek to encourage even more people to choose apprenticeships as a fast-track to a great career. Here at Mackenzie Marketing we have seen the benefits of apprenticeship schemes, having taken on two apprentices in the past few years. It’s a great way for young people to study while they work and, for the employer, it’s a really good way to support getting young people started in a career. Zach completed his apprenticeship with us last year. During that year, Zach developed a wide set of skills in marketing and digital communication as well as gaining invaluable experience dealing with the marketing and online requirements of a range of different clients. 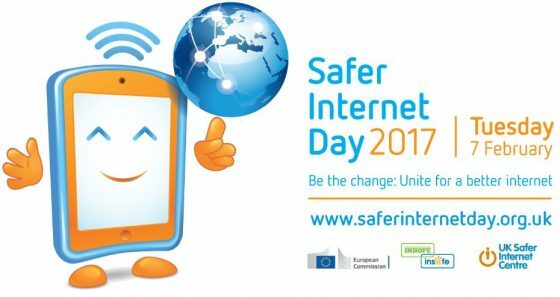 Tuesday 7th February is Safer Internet Day, where the UK Safer Internet Centre is asking young people, parents, carers, teachers, social workers, law enforcement, companies, policymakers, and wider organisations, to join together in helping to create a better internet. As a marketing company, we see the many benefits of the internet and the online world – helping our clients promote their businesses on the internet and through social media, increasing their visibility and ultimately bringing in more customers. It is almost impossible nowadays to run a business without some level of online exposure. Children and young people are familiar and comfortable with this online world and we need to make sure that they remain safe and protected whilst enjoying the benefits it brings. Coordinated in the UK by the UK Safer Internet Centre, Safer Internet Day sees hundreds of organisations get involved to help promote the safe, responsible and positive use of digital technology for children and young people. •	Children should be made aware of the dangers of sharing too much information on social media. •	It’s very easy for children to stumble on age-inappropriate or unreliable information – be aware of what your child is viewing. •	Children need to know that people they meet online may not be who they say they are. You should make sure you know how to report cyberbullying or inappropriate contact from another person. •	Be careful of children running up bills using large amounts of data or making in-app purchases. The UK Safer Internet Centre – a partnership of three leading charities; Childnet, the South West Grid for Learning and the Internet Watch Foundation – provide resources for children, schools and families, and tools www.saferinternet.org.uk. If you look after children or young people, please take a look and make sure you’re helping those young people stay safe on the internet. Meanwhile, at Mackenzie Marketing we will continue to keep up to date with the newest developments in online and social media marketing for our clients.